LifeVision Properties' Blog | Updates from Life Vision Properties. Updates from Life Vision Properties. MIAMI (Nov. 29, 2012) — Ultraluxury Silversea Cruises is the first cruise line to sign on to call at Banana Coast, the newest western Caribbean cruise destination at Trujillo, Honduras. 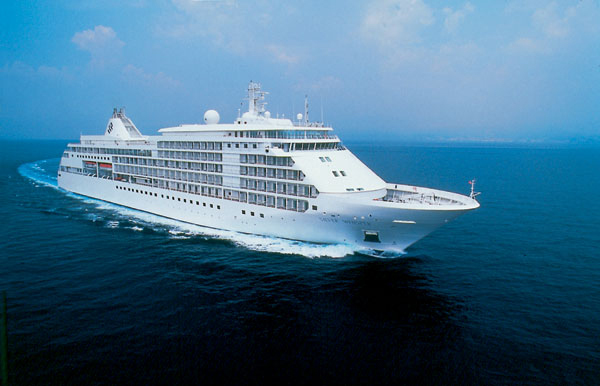 The 296-passenger Silver Cloud is scheduled to call Dec. 17, 2014. The Banana Beach Resort has just released the Fall 2011 and Winter 2012 Vacation packages. Property owners in Life Vision’s Alta Vista and Coroz Alta developments can redeem their food and beverage credit at the open air Mystique Restaurant located in Banana Beach steps away from the Caribbean Sea. For more information, please see the attached brochure Banana Beach Fall 2011 & Winter 2012 Getaway Brochure or visit http://www.bananabeachbums.com. Take a sneak peak at the new construction video released by Jaguar Construction. You can view finished homes built alongside the lush mountainside of Campa Vista, renderings of model house in Coroz Alta and an animated construction of the a 3 bedroom 2-storey Santa Fe home in Alta Vista from the ground up to a furnished home, with panoramic views of the Caribbean Sea. The Early Bird offer expires at the end of July, 2011, so those of you wanting to take advantage of the low construction should act quickly without delay. For more information contact cathy@jaguarcon.com, today. Construction in the ALTA VISTA Beachside development continue to move forward as planned. Roads systems have been installed and construction of 2 beachside homes are well underway. One of the home owners visited to Trujillo earlier in the spring and witnessed the foundation of their home being installed. They are looking forward to the completed house which will be later this season. Tranquility Bay Airlines in conjunction with Tranquility Bay Resort has announced 7 and 14 night all-inclusive Vacation Packages for anyone looking for a relaxing Caribbean getaway. For more information, select Tranquility Bay Vacation Getaway. On Tuesday June 21, 2011 the President of Honduras, Porfirio “Pepe” Lobo Sosa presented Randy Jorgensen, CEO of Life Vision Developments, with a special award and recognition at the Annual Meeting of the Ministers held in Trujillo. Randy a Canadian, who has called Trujillo his second home for the past 20 years humbly received the award and thanked the Ministers, Member of Congress, Mayor of Trujillo and other Trujillo residents who were in attendance. As a result of his many contributions over the years, Randy is now referred to as the “Adopted son of Trujillo”. 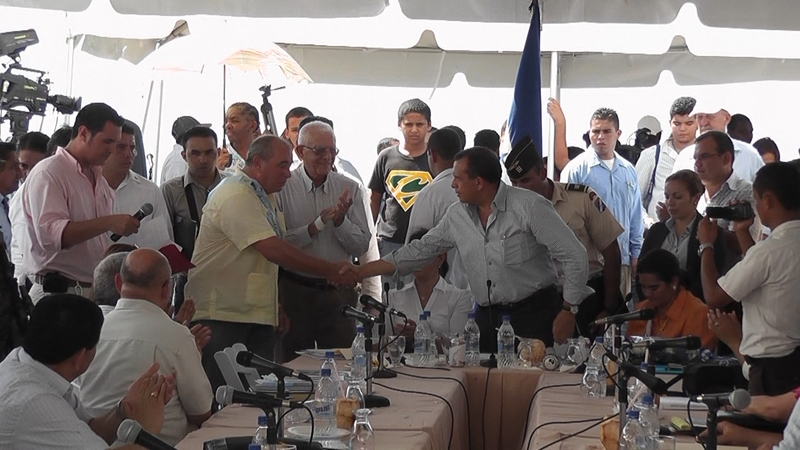 The success of the Open for Business Event earlier in May has initiated international attention in Trujillo. There is now talk of other projects including infrastructure projects and a potential international airport in Trujillo.